Our specialty is beautifully illustrated wedding stationery that will leave a lasting impression. Have us create something completely unique, just for you or customise something from our carefully curated Love Carli Collection. Either way, you will herald your big day in a very special way. Set the tone of your big day with wedding stationery that is as unique as your celebration. From save the dates to thank you cards and everything in between, we'll work closely with you to create something truly special. Pre-designed stationery that is both timely and budget friendly. Fall in love with a design, select the pieces that will build your stationery suites and we will customise them with your wording and wedding details. Easy! 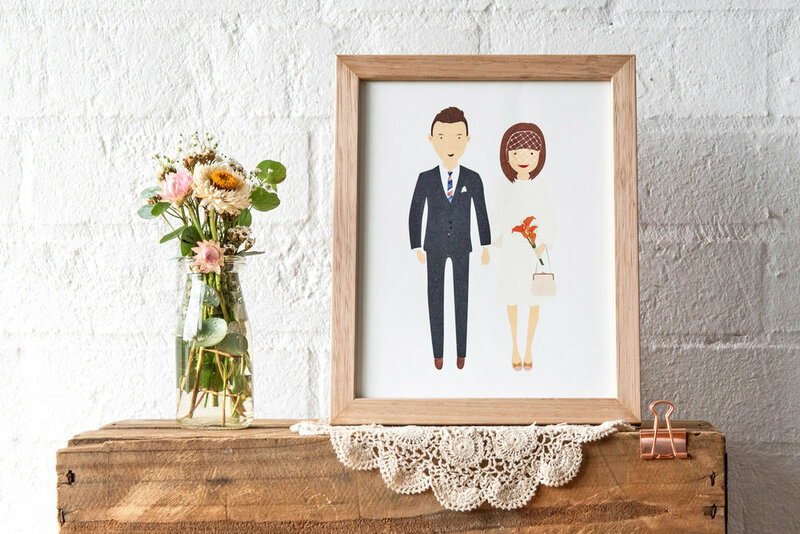 The perfect personalised keepsake, our ever popular custom illustrated portraits are a unique way to capture a precious memory for yourself or someone else as a wedding, anniversary or engagement gift. Send a little love to someone special with our gorgeous range of original greeting cards. Guaranteed to be better received than a token text, email or like. Sign up to our newsletter for occasional news, updates and special offers. onto any third parties. We hate that as much as you do!